The 54 hour, 30 minute countdown status for the March 10 launch of an Indian rocket with the country’s sixth navigation satellite is proceeding normally, said the Indian Space Research Organisation (ISRO). 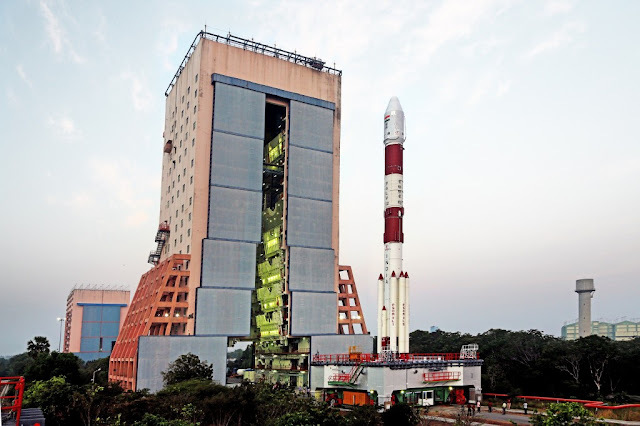 According to ISRO, the progressing status of the countdown for the launch of 44.4 metre, 320 tonne Polar Satellite Launch Vehicle (PSLV) carrying Indian Regional Navigation Satellite System-IRNSS-1F is expected to blast off around 4 p.m. on Thursday. Around 20 minutes into the flight, the rocket is expected to put into orbit the 1,425-kg IRNSS-1F satellite at an altitude of 488.9 km. The satellite with a design life span of 12 years has two payloads for navigation and ranging. The navigation payload of IRNSS-1F will transmit navigation service signals to the users. This payload will be operating in L5-band and S-band. A highly accurate rubidium atomic clock is part of the navigation payload of the satellite. The ranging payload of IRNSS-1F consists of a C-band transponder (automatic receivers and transmitters of radio signals) which facilitates accurate determination of the range of the satellite. IRNSS-1F also carries Corner Cube Retro Reflectors for laser ranging. Till date, India has launched five regional navigational satellites (IRNSS-1A, 1B, 1C, ID and 1E) as part of a constellation of seven satellites to provide accurate position information service to users across the country and the region, extending up to an area of 1,500 km. Each satellite costs about Rs.150 crore and the PSLV-XL version rocket costs about Rs.130 crore. The seven rockets would entail an outlay of about Rs.910 crore. The entire IRNSS constellation of seven satellites is planned to be completed in 2016 itself. The first satellite IRNSS-1A was launched in July 2013, the second IRNSS-1B in April 2014, the third on October 2014, the fourth in March 2015, and the fifth in January this year. The seventh satellite-IRNSS-1G- is expected to be launched in the second half of 2016. According to ISRO, with the operationalisation of five IRNSS satellites, the proof of concept of an independent regional navigation satellite system over India has been demonstrated for the targeted position accuracy of better than 20 metres over 24 hours of the day. The operationalisation of the sixth satellite following its launch on March 10 a better position accuracy will be provided, ISRO said.